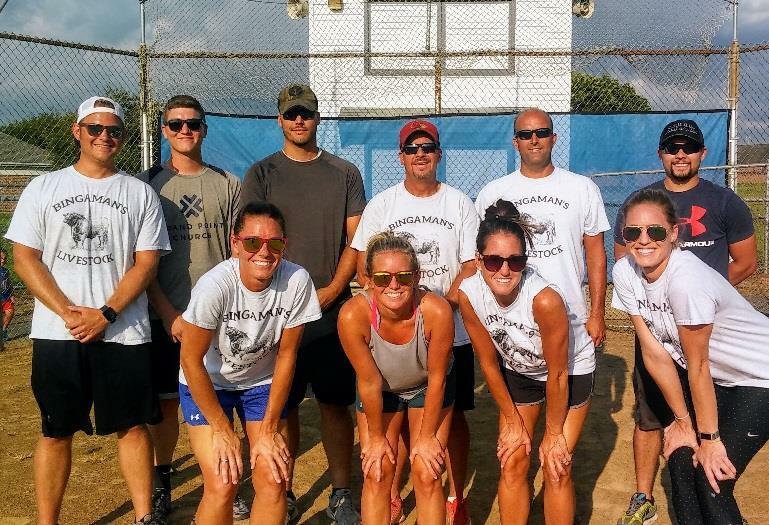 The Chambersburg YMCA and the 11/30 Network of Franklin County partnered for the 2018 Summer Adult Kickball League. This season’s team line up consisted of 2 Legit 2 Kick, Comeback Kicks, County Kickers, Nursing Nuts & Friends, Bingaman’s Livestock and Just for Kicks. The season kicked off late May and wrapped up on Thursday, August 23rd with a League Finale Game. Teams competed all summer and the end result put Bingaman’s Livestock at the top of the leaderboard with an undefeated season. Congrats Bingaman’s Livestock on taking the 2018 Kickball Championship. The League Finale game featured a “hat” style tournament, mixing all league players available into two teams… “Healthy” and “Living.” Teams competed closely back and forth, with the end result of team “Living” take the win with a 10 to 8 score. Thank you to all teams for their participation all summer long! Looking forward to having further connections within the sports & recreation leagues and tournaments here at the Y. And we will see everyone on the field in 2019!